If you can't help me, can you recommend an adviser? I have seen a great mortgage on your website. How do I apply for it? Can I speak to a mortgage adviser? Can I speak to someone about mortgages? What is life assurance? What is critical illness assurance? Can I borrow more money on my mortgage? I want to make improvements to my home. Can I borrow the money? I need to repair my home. Can I borrow the money from you? Can you advise me of the best rate I can borrow an additional sum at? I have seen a rate on your website. Can I borrow more money from you at that rate? Can I take further borrowing on interest-only? Can I take a different term? I can afford x per month; how much can I borrow? Will you have to value my home? My circumstances have changed and I wish to remove someone from my mortgage. How can I do this? My circumstances have changed and I wish to add someone to my mortgage. How can I do this? What if I cannot provide required information for the assessment? How many people can I add onto my existing mortgage? If I add someone to my mortgage, what are the implications for me? If I remove someone from my mortgage, what are the implications for me? How much does it cost to add or remove someone to or from my mortgage? Do I need advice to add or remove someone to or from my mortgage? Do I need to instruct a solicitor to add or remove someone to or from my mortgage? I have not been self-employed for the required amount of time. Can I still apply for a Transfer of Equity? Why does it cost £95? What if I am not able to pay the £95 fee in advance? Will you liaise with my ex-partner ? Will you be conducting a credit reference check? How will I know what the new mortgage payments will be? Will my property need a new valuation? How long should I expect this Transfer of Equity to take? What happens when the Transfer of Equity is approved? Does my solicitor need to inform you once the Transfer has been completed? I have a shared ownership mortgage. Do you let the Housing Association know that the Transfer has been approved ? Can I staircase my share in the shared ownership at the same time as applying for a Transfer of Equity? Can you provide me with advice and/or a recommendation on the Transfer of Equity process? I want to move. How can you help me? I have been to see an adviser who has told me that I am tied to my mortgage with you. I am keen to move, so how can I do that? Is my mortgage portable? I want to move and I need more money. I want to move and reduce my borrowing. I want to move, add my new partner to my mortgage and borrow some more money. I want to move and remove someone from my mortgage. What is a fixed rate mortgage? What is a discounted rate mortgage? What is the Standard variable rate? What does APRC mean? What does Product fee mean? What is the Early repayment charge? What is loan to value (LTV)? What is the Initial rate? If you can't help me, can you recommend an adviser? We cannot recommend a mortgage adviser for you, however the website unbiased.co.uk provides a list of mortgage advisers in your local area. I have seen a great mortgage on your website. How do I apply for it? Kent Reliance accepts mortgage applications from mortgage advisers only. If you have a mortgage adviser we suggest you speak to them about our range of mortgages. If you do not have a mortgage adviser, you’ll find a list of mortgage advisers in your local area at unbiased.co.uk. Can I speak to a mortgage adviser? Kent Reliance does not have in-house mortgage advisers, so we would suggest speaking to your own mortgage adviser about our range of mortgages. If you do not have a mortgage adviser, then the website unbiased.co.uk provides a list of mortgage advisers in your local area. Can I speak to someone about mortgages? Life assurance is a simple form of protection. It will provide a lump sum in the event of the death of a policyholder during the term of the life assurance policy. The lump sum can be used to repay the outstanding debt of a mortgage. For more information please visit the Money Advice Service website at moneyadviceservice.org.uk or speak to your adviser. If you do not have an adviser then the website unbiased.co.uk provides a list of advisers in your local area. What is critical illness assurance? Critical illness policies are designed to pay out a lump sum if a policy owner suffers a specified illness that they survive. Examples of critical illness include heart attack, cancer and stroke. The lump sum can be used to repay the outstanding debt of a mortgage. 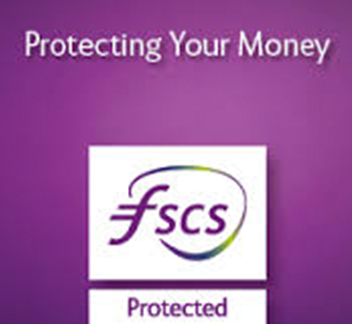 For more information please visit Money Advice Service website at moneyadviceservice.org.uk or speak to your adviser. If you do not have an adviser then the website unbiased.co.uk provides a list of advisers in your local area. Additional borrowing may be possible, however Kent Reliance is unable to provide any advice on how much you can borrow as this would require an assessment of your income, outgoings and level of equity in the property. As we are not authorised to conduct this assessment, we suggest you speak to your mortgage adviser. If you do not have a mortgage adviser, you’ll find a list of mortgage advisers in your local area at unbiased.co.uk. I want to make improvements to my home. Can I borrow the money? Additional borrowing may be possible, however Kent Reliance is unable to provide any advice on how much you can borrow as this would require an assessment of your income, outgoings and level of equity in the property. We are not authorised to conduct this assessment so we would suggest speaking to your mortgage adviser. If you do not have a mortgage adviser, then the website unbiased.co.uk provides a list of mortgage advisers in your local area. I need to repair my home. Can I borrow the money from you? Can you advise me of the best rate I can borrow an additional sum at? Kent Reliance is not authorised to provide advice on this. Any assistance we provide is strictly limited to basic information and administration of your request. If you require information on mortgage rates available in the market, the Money Advice Service provides mortgage comparison tables at moneyadviceservice.org.uk. I have seen a rate on your website. Can I borrow more money from you at that rate? Can I take further borrowing on interest-only? You may be able to take further borrowing on an interest-only basis, however Kent Reliance is unable to provide any advice on this. We would suggest speaking to your mortgage adviser. If you do not have a mortgage adviser, then the website unbiased.co.uk provides a list of mortgage advisers in your local area. Can I take a different term? Yes you can, however we cannot advise on what term is most suitable to you. We would suggest speaking to your mortgage adviser. If you do not have a mortgage adviser, then the website unbiased.co.uk provides a list of mortgage advisers in your local area. I can afford x per month; how much can I borrow? Will you have to value my home? We will instruct a new valuation during the application process. There will be a fee for this. Kent Reliance is providing you with this information on an execution-only basis; this means we cannot provide advice. In provision of this service Kent Reliance is not required to assess the suitability of this regulated mortgage contract, changes or transactions and you will not benefit from the protection of the Financial Conduct Authority's rules on assessing suitability. * For customer service and training purposes, calls with Kent Reliance may be monitored and/or recorded. My circumstances have changed and I wish to remove someone from my mortgage. How can I do this? To approve this we will need to carry out a full underwriting assessment to ensure the loan will remain affordable in your sole name. This may involve a new valuation being required. We may also require updated income confirmation, bank statements and name and address identification. My circumstances have changed and I wish to add someone to my mortgage. How can I do this? To approve this we will need to carry out a full underwriting assessment to ensure the loan will remain affordable with the new person added. This may involve a new valuation being required and a credit search. What if I cannot provide required information for the assessment? Unfortunately we will be unable to assess your application without this information (ID information, bank statements, income evidence etc). Please ensure you obtain this information prior to making your formal request for a transfer of equity. How many people can I add onto my existing mortgage? The maximum number of people allowed on a Kent Reliance mortgage is four. If I add someone to my mortgage, what are the implications for me? We cannot advise on this, we would suggest taking advice from a solicitor and a mortgage adviser. If you do not have a mortgage adviser, then the website unbiased.co.uk provides a list of mortgage advisers in your local area. The Law Society provides a list of solicitors in your area. If I remove someone from my mortgage, what are the implications for me? How much does it cost to add or remove someone to or from my mortgage? There is an administration charge of £95 for us to assess and process a Transfer of Equity request. We cannot assess your request without this fee. There will be additional costs such as solicitors fees. If you require mortgage advice and see a mortgage adviser for that advice they may charge also. Do I need advice to add or remove someone to or from my mortgage? It is recommended that you take legal advice. If you do not have a legal adviser, the Law Society provide a list on their website. If you require financial advice then we would suggest speaking to your mortgage adviser. If you do not have a mortgage adviser, then the website unbiased.co.uk provides a list of mortgage advisers in your local area. Do I need to instruct a solicitor to add or remove someone to or from my mortgage? Yes you will need to instruct a solicitor to act for you if you would like to add or remove someone from the title of your property. If you do not have a solicitor, then the Law Society provide a list on their website. I have not been self-employed for the required amount of time. Can I still apply for a Transfer of Equity? We will carry out a full underwriting assessment and will review your individual circumstances before making a final decision. Why does it cost £95? This is an administration fee that we charge to cover the cost of the assessment of your application and the necessary enquiries we have to make. What if I am not able to pay the £95 fee in advance? You can have the fee added to the mortgage account. When we send the Transfer of Equity pack, we will issue a Mortgage Illustration that assumes that the £95 will not be paid in advance and therefore shows how this increase in balance will affect your monthly payments and amount repayable to us. Will you liaise with my ex-partner ? No. We send all correspondence to the borrower remaining on the mortgage. It is their responsibility to gather all the documentation we require. Will you be conducting a credit reference check? Yes. Any agreement for a Transfer of Equity will be subject to an acceptable credit search result for the remaining and new borrowers. How will I know what the new mortgage payments will be? We will issue a Mortgage Illustration when we issue your Transfer of Equity pack and then again if a Transfer is offered. Will my property need a new valuation? This depends on your individual circumstances. We will confirm if a valuation is needed once we receive your Transfer of Equity application. How long should I expect this Transfer of Equity to take? We will process post received from you within 10 working days. If you ensure that all the documentation we ask for is sent to us as soon as possible this will speed up your application. For information on how long it takes for the legal charge to be amended, please speak to your solicitor. What happens when the Transfer of Equity is approved? When we send you confirmation that your Transfer has been approved, you will have a 14 day cooling-off period to consider whether you want to go ahead with the Transfer. If we do not hear from you, we will contact your solicitors and instruct them to proceed with the Transfer of Equity with the Land Registry. Does my solicitor need to inform you once the Transfer has been completed? Yes. We will only be able to amend the mortgage account details when we receive confirmation that the property has been transferred into the names of the proposed borrowers. I have a shared ownership mortgage. Do you let the Housing Association know that the Transfer has been approved ? No. Informing the Housing Association and obtaining their consent to the Transfer of Equity is the responsibility of the customer applying to remain on the mortgage. Can I staircase my share in the shared ownership at the same time as applying for a Transfer of Equity? No. This is considered in the same way as a request for additional borrowing. You will need to speak to your financial adviser/broker to progress this. Can you provide me with advice and/or a recommendation on the Transfer of Equity process? Unfortunately we cannot provide advice on this and would suggest taking advice from a solicitor and your mortgage adviser. If you do not have a mortgage adviser, then the website unbiased.co.uk provides a list of mortgage advisers in your local area. The Law Society provides a list of solicitors in your area. I want to move. How can you help me? Unfortunately Kent Reliance is not authorised to provide advice on whether your current financial situation will allow you to purchase a new home. We would suggest speaking to your mortgage adviser. If you do not have a mortgage adviser, you’ll find a list of mortgage advisers in your local area at unbiased.co.uk. I have been to see an adviser who has told me that I am tied to my mortgage with you. I am keen to move, so how can I do that? We can provide you with the terms and conditions of your mortgage account. Once your adviser has this information they will be able to advise you on the most suitable course of action to help you move home. I have been to see an adviser who has told me that I am tied to my mortgage with you. I am keen to move, so how can I do that? The ability to port your mortgage - which means transferring the mortgage to a new property - depends on the terms and conditions of your mortgage product. If your mortgage is portable Kent Reliance will need to complete a full underwriting assessment of both you and the new property before confirming we will allow you to transfer the mortgage to a new property. I want to move and I need more money. This may be possible, however Kent Reliance is not authorised to provide advice on whether you would be able to raise additional money to enable you to move home. We would suggest speaking to your mortgage adviser. If you do not have a mortgage adviser, then the website unbiased.co.uk provides a list of mortgage advisers in your local area. I want to move and reduce my borrowing. I want to move, add my new partner to my mortgage and borrow some more money. This may be possible however Kent Reliance is not authorised to provide advice on whether you will be able to move home and add someone else to the mortgage. We would suggest speaking to your mortgage adviser. If you do not have a mortgage adviser, then the website unbiased.co.uk provides a list of mortgage advisers in your local area. I want to move and remove someone from my mortgage. This may be possible however Kent Reliance is not authorised to provide advice on whether you will be able to move home and remove someone from your mortgage. We would suggest speaking to your mortgage adviser. If you do not have a mortgage adviser, then the website unbiased.co.uk provides a list of mortgage advisers in your local area. A fixed rate mortgage is a mortgage where your monthly repayments remain fixed for a period of time agreed at the start of the mortgage. A discounted rate is where a discount is offered from the Kent Reliance Standard variable rate (SVR). Because it is linked to the Kent Reliance SVR the interest rate can vary but the amount of the discount stays the same. Your monthly repayments can therefore vary according to the rate of interest charged. This is the Kent Reliance standard interest rate that we lend money at. The rate is variable which means it can change in line with market conditions. It is also the rate your initial interest rate will revert to once it ends. Your monthly repayments can therefore vary according to the rate of interest charged. APRC stands for Annual Percentage Rate of Charge. It is used as a means of comparison for financial services products and takes into account the total amount of interest and any fees applied to your mortgage. What does Product fee mean? This is the fee charged for arranging your mortgage. This is the charge you pay to Kent Reliance if you repay all or part of your mortgage earlier than the end of the agreed term or deal period. This may also be payable if you move house and are not able to take the mortgage to the new property, or if you remortgage during the initial rate period of your mortgage. An early repayment charge is typically expressed as a percentage of the loan amount so if a mortgage has an early repayment charge of 1% of the mortgage balance, on a £100,000 mortgage that would equate to an early repayment charge of £1,000. The LTV is the total mortgage value expressed as a percentage of the property's value. For example, if you take out a £120,000 mortgage on a property valued at £150,000 the LTV is 80%. Generally the higher the LTV the higher the interest rate charged. This is the interest rate charged during any special fixed or variable rate period of your new mortgage. When the initial rate ends the interest rate reverts to the Standard variable rate.